As the last of the winter chill (hopefully) begins to melt away, it’s time to kick your yard into high gear. Spring is a time of rapid growth. Although your lawn has spent the entire winter either blanketed under ice and snow, or dried out and patchy, it can come back more vivacious than ever with a little bit of TLC. 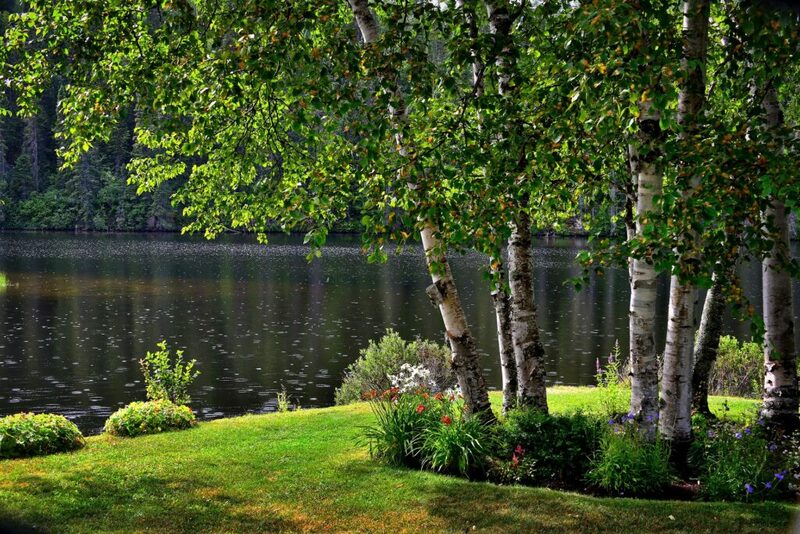 This spring prep checklist is sure to provide you with a luscious lawn come lake season. First, clean up any leaves, branches, or debris that has accumulated over the winter months. If you have piles of snow remaining, spread them out into smaller, less dense piles so that they can melt evenly. This will prevent the soil underneath from compacting and allow the snow to melt more quickly. Use a rake to collect any remaining leaves and thatch buildup. Otherwise, they’ll decompose and lead to mold on your lawn — if they haven’t started to collect mold already. Pick up stray branches and other large items that can get stuck in your lawn mower and damage the machinery. Branches and lawn debris can also prevent fertilizers and pesticides from being absorbed into your lawn. You should start mowing within the first few weeks of spring, depending on when the frost subsides. Wait until your grass has reached at least two inches in height. This will avoid injuring delicate blades and exposing it to disease. You should mow every five or six days during the spring, which will prevent the grass from growing too tall. It will also reduce your likelihood of scalping it too short. Make sure to edge your flower beds and replace all the old mulch from last season. Mulch is a great way to moderate moisture and keep pests and disease out of your landscape. As for your grass, you can apply a pre-emergent herbicide to help fight weeds before they rear their ugly heads. Most pests can be avoided by following a consistent watering routine. But you can also rid mosquitoes by removing areas of standing water. Make sure all divots or other areas where puddles can form are filled in. De-thatching your lawn can also help keep soil-borne pests, like grubs and ants, from finding shelter. In the early spring, you should use a combination of fertilizer and herbicide to feed your lawn and prevent crabgrass. You can apply more fertilizer again, six weeks after the first application date, but keep in mind that early fertilizing is ideal. You want to apply fertilizer before temperatures become so hot that the nitrogen burns your grass. If you want to avoid synthetic chemicals, consider using compost or other organic matter for a healthier approach. Although you can overseed in the spring if you notice patches of bare lawn, you will have better results with most grass types if you wait until late summer or fall. Overseeding in the spring can sometimes be counterproductive, particularly if you are applying a pre-emergent herbicide. The seeds won’t germinate since they will be stifled by the chemical. If you can’t bear to stare at the brown, dead spots all summer, try fertilizing or laying down patches of sod. A luscious lawn in the summer starts with proper care in the spring. 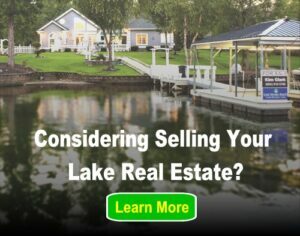 Put the hours in now, and you’ll be thanking yourself when your lawn is the talk of the lake come July.